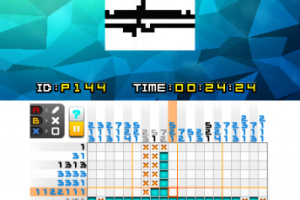 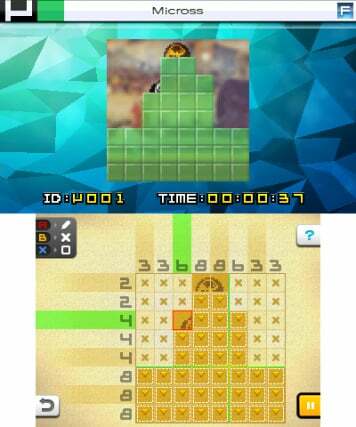 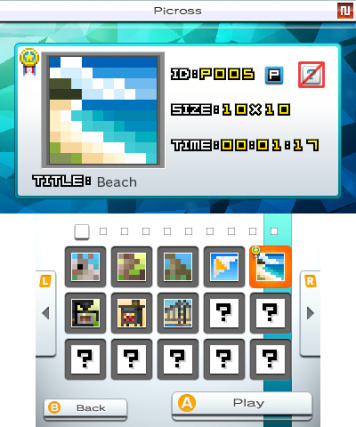 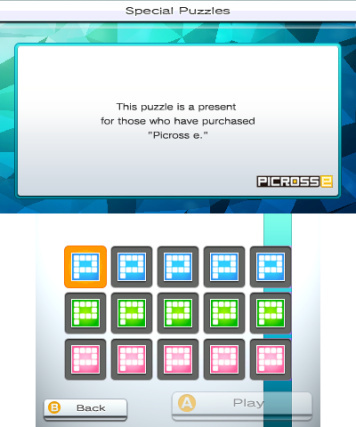 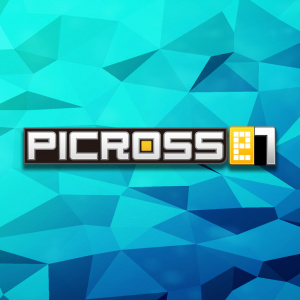 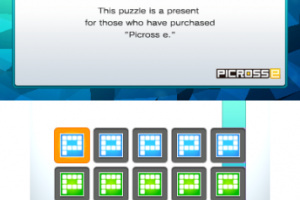 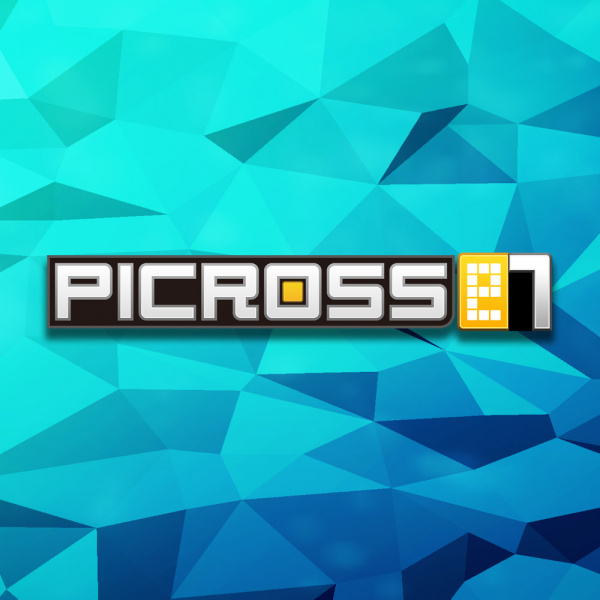 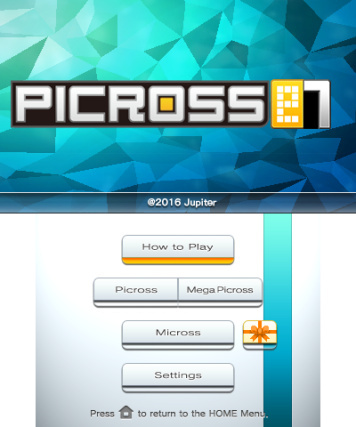 The 7th game in the Picross e series, with a Navigation Feature! 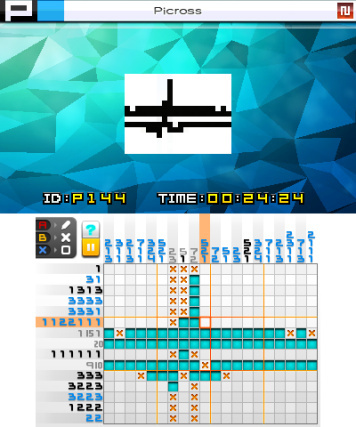 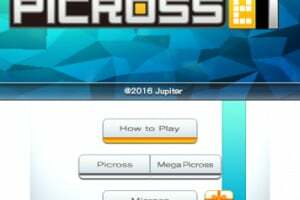 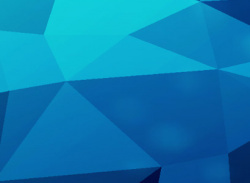 The first game with 20x15-size Mega Picross puzzles. 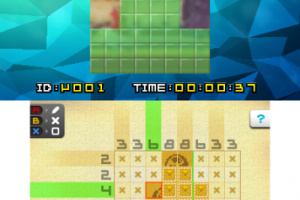 The new Mark function lets you leave indicators on squares you aren't sure about, without risking a penalty. 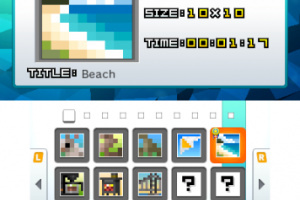 Also, new Switch stylus controls allow you to switch input modes just by pressing the Circle Pad or +Control Pad once!